Josh Loar joins the Department of Visual and Performing Arts as a professor of practice. Loar earned his BA in Theater from the University of California, Los Angeles. He also studied audio technology at the SAE Institute of Technology. Loar has experience in sound design, acoustics and venue design, consultation, composition, arrangement/orchestration, projections design and engineering. He has served as president, CEO, designer, composer and producer for Electric Lights Music. He was a lecturer and sound supervisor at the Yale School of Drama/Yale Repertory Theater and an audio video engineer for Technical Multimedia Design, Inc. He is currently an audio systems design consultant for Walters-Storyk Design Group. Haunted houses are intimidating enough, but throw one into a college dorm and there is a recipe for something straight out of your nightmares. That is exactly what the Inter-Residential Housing Council (IRHC) has been doing every year since 1988 in their annual Safehouse event. Sound and Lighting Services will also be showing off some of their newest technology in the Douglass Houghton Hall ballroom during the event. This is a new feature that has been added for this year. 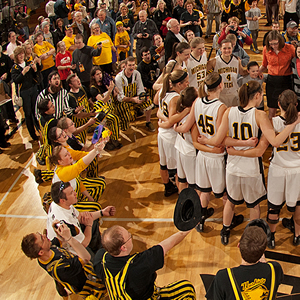 Read more at the Michigan Tech Lode, by Evan Mayer. This year’s winning scary hall was TreeHouse’s “haunted forest” theme. They outdid their competitors by only 2/3 of a point. Agency and Nightclub (of Visual and Performing Arts) took second but only by .2 points, with their “cult” theme. Read more at the Michigan Tech Lode, by Rand Silvers. Halloween is on the horizon and Michigan Technological University students living in residence halls are preparing to host Safehouse, an annual tradition that invites kids from the local community into the halls to enjoy themed decorations and tons of candy. Calling all dancers, actors, and gymnasts! Auditions for Rose and the Rime will be Monday, October 28, and Wednesday, October 30, 7 pm in Rozsa 120 (Choir Room). Rose and the Rime is a spectacular modern fairy tale of courage and hope in the face of adversity and fear. The fable features Rose, a very special girl who embarks on an adventure to save her town, Radio Falls, Michigan, from perpetual winter. The play includes dance, and original music composed by students. Rose and the Rime will be performed next semester, however there will be a large dance/aerial component to the show that will require rehearsals and preparation this semester. One dance form we hope to feature is aerial work. Roles are available for non-dancers as well. You may sign out a script from the VPA office, Walker 209. Come for as long as you can, especially if you have never worked with silks before. The dance portion of the audition will include a quick warm up and a few simple combinations. We ask that performers come prepared with a short (30 second) sample of their abilities. This is to be used as an opportunity to showcase your strengths and ability as a dancer/gymnast. The aerial silks portion of the audition will include basic exercises that will test performers’ grip and arm strength and provide opportunities for everyone to demonstrate skills learned in the Open Clinics. Performers should wear form fitting clothing that is easy to move in. 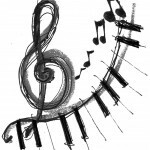 The Keweenaw Symphony Orchestra presents a free Fall Music Recital on Friday, October 18, at 7:00 pm at Portage Lake United Church. 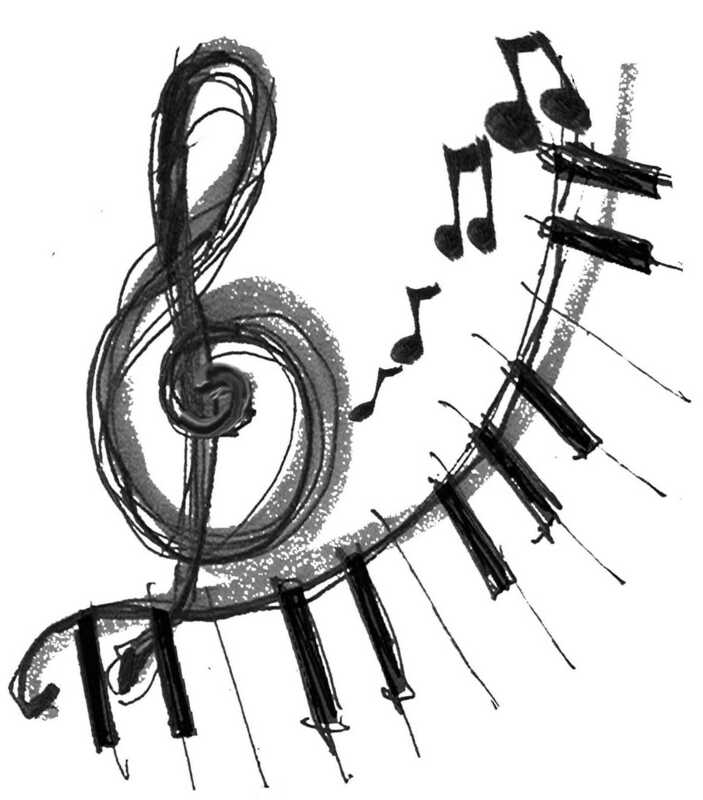 This recital’s theme—The Four Seasons—invites beautiful and compelling vocal and instrumental music, including performances by woodwind quintet, guitar solo, vocal solo, viola quintet, and flute solo. There is no ticket price for the recital, but a $5 donation toward the KSO and PLUC is accepted at the door. There a nice reception after the performance. Michigan Tech student Toby Mahan plays the main character and narrator, Eugene. Pictured, from left, are Kate Van Susante, Dollcie Webb, Annika Seigel (hidden), Audrey Ortiz and Toby Mahan. Brighton Beach Memoirs is a witty, yet poignant recollection of growing up during the Depression. 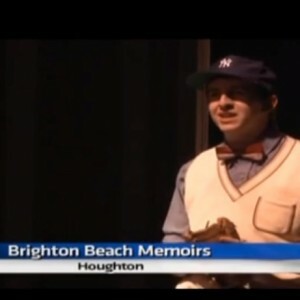 Director Trish Helsel is the one putting all the pieces of the play together and said directing “Brighton Beach Memoirs” is something she had wanted to do for quite some time. In a live performance, anything can happen, whereas in a movie, the same thing is guaranteed to happen with every viewing. Read more at the Michigan Tech Lode, by James Wood. One of the main changes is the replacement of the pep band’s part in our Team’s entrance and introduction with prerecorded music. Read more at the Michigan Tech Lode, by Zach Evans. Please join us at the Rozsa Center and McArdle Theatre for arts events in October. From romantic nights at the symphony, to “Pep Band Mania,” to Neil Simon coming-of-age tales, to Cloud Cult’s “good good friends,” to Ray Bradbury’s cautionary tale of technology and humanity colliding, disastrously: October will draw you in, entertain at the least, and challenge your assumptions. Enjoy all the arts have to offer at Michigan Tech! For more details see visit rozsa.tickets.mtu.edu. From Tech Today, submitted by the Rozsa Center for Performing Arts.